Repugs MUST go. Personally, I'd rather feed a sneaky snake, as you know what they are, and act accordingly to their motives. These guys are the worst there is!! GRAB 'em at the mid-terms!!! Signed both (MO & DK) petitions. Thank you Joanne (Furies) for trying for getting this out here. Republithugs are rotten, rotten to the core. And under all that rot, there's more! Thx for sharing Joanne. Sheesh! 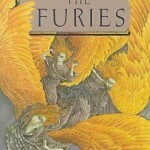 May the Furies prevail ASAP! Both petitions signed, thanks. Pennsylvanian Republicans appeal to SCOTUS for a stay of the ruling on their outrageous gerrymandering and Justice ‘Alito, [who] is considered “one of the most conservative justices on the Court”‘(Wikipedia) and he tells them even he considers it outrageous and that they have no case. You’d think these Pennsylvanian Republicans would have gotten this strong hint from a fellow Republican that things they’ve been doing for years is not quite constitutional. So where do these legislators get the idea that impeaching judges of their Supreme Court is constitutional, especially if it is only the 5 Democrats of the Pennsylvanian Supreme Court they want impeached, not the two Republican justices. There’s no way they can argue themselves out of the fact that they want to impeach them because of their vote in a ruling that was not to the Republicans liking. Of course, as a foreigner I may be holding the wrong end of the stick, but it looks to me if this impeachment is extremely unconstitutional even if Republicans have the numbers to pull it off. Unconstitutional and one of the most extreme examples of a cornered cat making funny jumps (Dutch proverb) in politics I’ve ever seen. Dush Bag is obviously fearing for his own seat when the districts are mapped in a fair way, but I think the ladies should try to fan that fire a bit by throwing his own impeachment on the scales, and of any that go along with him, for this utterly undemocratic proposal. They can’t be impeached, I know, but it might prevent him from ever being reelected. Rachel Maddow did a whole show on this state and its ridiculously drawn districts, even a casual glance shows they're up to something. She actually highlighted that same night (pre 2016 elections) that Ohio has done almost exactly the same thing, as, of course, have the rust belt states and Walker's Wisconsin. SCOTUS said it didn't think the Voting Rights oversight was needed anymore, and as soon as it did, the states proved it most certainly was. Yet, it hasn't been reinstated. I wonder why. But not very much as the answer is obvious. And here we are, in the land of the free-to-screw-whomever-those-in -power like to screw! SCOTUS said that, when Scalia was still in there, I'll guess? Petition signed. Just shows what the rabid Right will do to win. No, they are not doing anything for the country, just for themselves. signed (wasn't sure whether or not I'd done so before)....excellent choice for Fury fodder Joanne--if even Alito doesn't think they have a leg to stand on, seems to me the most their efforts might do is provide cover for their supporters to delay honoring the laws of their state. Petition Signed - It's just disgusting on so many levels . . . . . . . .